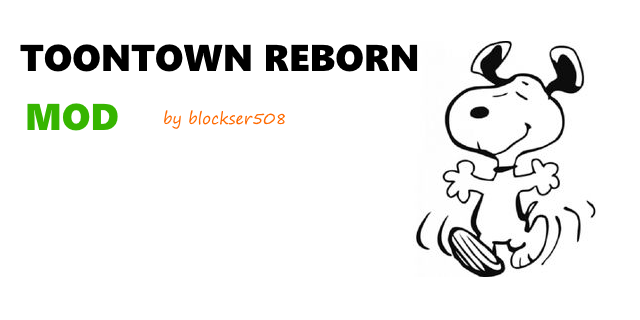 Today I have mod that adds in your favorite cartoon characters into Minecraft, Toontown Reborn! This mod features cartoon characters and items from their shows, which can be put to good use in-game! - Krabby Patty Formula: A special item that can be used to craft Krabby Patties! It can be found in regular dungeons, but it's somewhat rare. - Sponge Piece: An item that is dropped by Spongebob. It can be used to craft sponges. - Jellyfishing Net: An item used for catching Jellyfish, by right-clicking on a sand block underwater. There is a 20% chance you'll get a Jellyfish. One you get one, you can make jelly by smelting a jellyfish in a furnace. - Ectoplasm: A drop from ghosts. It is used to craft Ghastly Iron ingots for another item. - Ghastly Iron Ingot: An item made from Iron and ectoplasm. - Reality Gems - Hmm... Where have I heard of that before? Anyways, the Reality Gems are special items found in regular dungeons. They are pretty rare. The gems are Gem of Form, Gem of Time, Gem of Space, and a craftable redstone gem. - Bullets: An item that is ammo for Elmer Fudd's Rifle. - Rifle: A gun that is dropped from Elmer Fudd. - Reality Gauntlet: Before you ask, yes this is a ripoff of the Infinity Gauntlet. But, It has some powers that are really worth getting! - Mode 1: Transmutes mobs into smoke on attack, Turns stone into diamond blocks, lapis into redstone, wood planks into gold, and iron blocks into obsidian! - Mode 2: Changes day to night and night to day on pressing the K key. Also slows down mobs on attacking. - Mode 3: Summons a force field, which lasts for 3 Seconds when the M key is pressed. Also has a large amount of knockback. - Mode 4: Insta-Kill! Deals 10,000 attack damage. 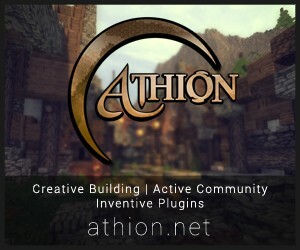 The gauntlet can be crafted by using one of the blocks in this mod. - Pineapple Cubes: Blocks that can be used to build Pineapple Houses! - Pineapple Plants: Common plants that drop pineapples when harvested. - Hellfire Forge: A block that is used to forge the Reality Gauntlet. To make the Reality Gauntlet, you'll need to get a Reality Gauntlet Cast (which can be found in village blacksmith chests), 3 Ghastly Iron Ingots, and A lava bucket for fuel. First, place all the ingots into the forge and then place the cast on top. then, right-click the forge with the lava bucket, and wait 20 seconds. Then, the gauntlet will pop out, and you're done! - Spongebob: Spawns on beaches. Drops sponge pieces when killed. - Patrick: Spawns on beaches. Drops his shorts when killed. - Snoopy: Spawns anywhere. Can be tamed with bones. - Elmer Fudd: A hostile mob. Drops his rifle on death. - Ghosts: Hostile mobs that spawn at night. Drops ectoplasm when killed. 1.7.10 - The Rabbids Mod!